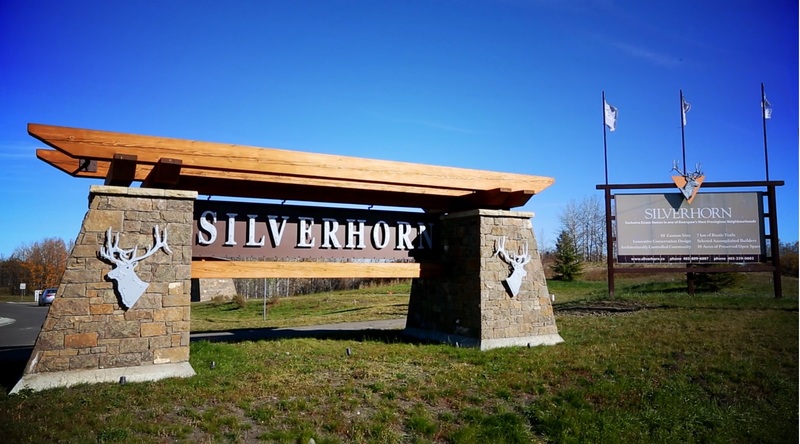 Silverhorn / Developer: Silverhorn Inc.
Silverhorn is a spectacular country residential Conservation Planned community located in Rocky View County, just minutes North West of Calgary. Silverhorn will be developed with approximately 85 homesites on well treed and contoured land. Silverhorn is located East of Lochend Road or West of Bearspaw Road and north of Township Road 262, conveniently close to the City of Calgary, yet far enough away from the noise and pace of urban living. The design of Silverhorn recognizes the natural landscape and environment as the foundational asset of the development, and therefore, it is the vision of this community to minimize the development footprint of buildings and infrastructure, and dedicate a sizeable portion of the land to preserving the natural features of the site.